"Why can’t we ever take the portal to the nice places?" Penelope, Briv, Orkira and Alyndra stand in the ruins of Stormherald, surrounded by decades-old corpses and the split remains of the ancient tree that once lodged the dryad Penelope was so fond of speaking to. Orkira finds a skeleton lying near the tree and casts speak with dead in the hopes of getting some answers, and lets her friends know they can ask it five questions. The skeleton rasps out its responses: first, it says they were killed by Saranthis fifty years ago. 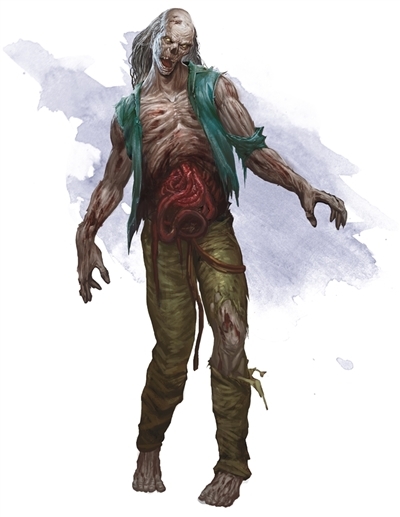 When asked about what Keen was doing the last time they saw him, the corpse responds that “He was talking to you!” Sadness and shock passes through the party as they realize that these are Keen's bones. Briv finds Keen’s weapon laying near the body, all but confirming their fears. Orkira’s final question is to ask what he would ask them to do, and the response is “Go to the Library of the Norn.” before the spell ends. Alyndra finds the Fairy Circle still filled with magic, but needs to spend some time to figure out how to activate it. While she works on the Circle, Briv takes position to keep a lookout on the Ocean of the Dead, while Penelope and Orkira head to Keen’s room to look for clues. They find a rough map of the area, possibly carved by Keen himself. There’s a marking of the “Library of Norn” as well as “The Last City”, but the group are unsure how to get there. Alyndra is able to activate the Fairy Circle, but Briv notices that catches the attention of the Ocean of the Dead and the undead rush towards them! Penelope casts Plant Growth around the Circle to encourage the vegetation to grow, and the renewed life helps bring the portal more power. As Alyndra struggles to figure out how to finish the portal, the undead horde crashes against the city's ruined walls, and throws spears made of bone aimed right at her. Briv jumps into action, using his shield to protect her and blocking the attacks. Orkira presents her holy symbol and channels Pelor's holy light to Turn Undead, causing the horde to stop as if blocked by an invisible wall. As her friends protect her from the oncoming attacks Alyndra continues to work on the Fairy Circle and with no clear idea where to go activates the portal! Briv and Alyndra are suddenly consumed by green flame and disappear, with Penelope and Orkira diving in after them. The four appear on the steps of a gigantic room made entirely of gold, with white robed clerics surrounding a luminous figure on an imposing throne. It is Saranthis, Goddess of Light, the same Goddess that appeared to Orkira in the fire back in the Vale. As the group introduce themselves, Saranthis seams to know them all. She says that she tried to save Keen and everyone on Stormherald, but they refused her help and had to be purified as they would not worship her. She offers the group the safety of the city as long as they worship her. Saranthis threatens to kill them all, starting with Alyndra as wizards are no longer allowed in her city. Alyndra proudly recites a catechism from the doctrine of Oghma, “We must not abide the suppression of identity or those who seek to destroy the wisdom and learning of others, those who fear knowledge and attempt to blot it out with falsehoods and oppression.” Briv and Penelope stand by her, considering their options, but even as they try to whisper plans to each other—it’s obvious Saranthis can hear them, and she has no love for these defiant warriors. Saranthis makes explicit her demands once more: submit or die. Orkira willfully ignores her, and asks Pelor how she can help. Her god replies, “Everything ends. Grab my hand.” She does so and feels a warm glow for a moment as he tries to channel some last bit of energy, and desperately reaches forward to hug him. Saranthis sneers, and Pelor gasps, shudders, and falls limp. A shudder passes through the building as Pelor’s eyes go dark and his body collapses to the ground. Orkira feels the loss of her god, a pit in her soul, as all her magic disappears. In grief she lays out his body and starts giving last rites. Briv pulls out his weapons and rushes for Saranthis, and despite her divinity manages to strike her with his shield right in the face! She recoils, seemingly injured by his attack, but whirls around with superhuman speed to grab him by the throat and slam him over her knee. A thundering cloud fills the ceiling as Penelope casts call lightning down on the cruel goddess, the same look of defiance flashing in her eyes. All four disappear to the sounds of Saranthis screaming in anger, and the world seems to melt away before them. 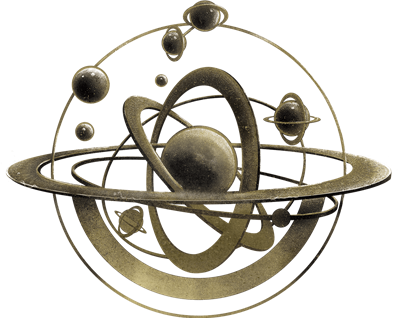 They are hurled backward in time, and when the vortex of magic surrounding them vanish, they find themselves in a massive room dominated by a gigantic structure made of brass and steel and gems rotating above them. They can sense that the room is protected somehow, and there seems to be no way in or out of this massive, windowless, and doorless chamber. The walls are covered in tomes both arcane and historical, and alchemical apparatuses are strewn all over the room's many tables. A strange humanoid made of metal towers over them, and appraises them with its glowing orange eyes. The automaton suddenly demands to know who they are, as it has been tasked to defend this room. Alyndra, Penelope and Briv quickly introduce themselves to start making friends. The construct admits it’s been so long he’s been alone that he cannot remember who gave him the order to defend it. Briv asks where everyone is. The construct points to the long dead bodies of wizards and artificers who died of old age trying to repair the enormous machine above them. He knows the machine had something to do with time, but not exactly what it does. Hearing that the machine deals with time travel, Orkira comes out of her stupor for a moment to laugh. When Alyndra asks if she knows how they got here, Briv announces that he believes he hit Saranthis so hard that she let them go. With a sad smile Orkira agrees, but then falls silent again. The construct suddenly remembers his name is really Rend, and talks about how he spends a lot of time playing chess against himself. He knows Briv’s last name despite not being told, but doesn't want to explain how for fear of causing their brains to explode. Briv invites Rend to play a game of chess in the hopes of distracting the robot, while the rest of his friends figure out what is going on. As they play Rend is able to notice that Briv is injured, and when asked, admits he can sometimes see different places and people. He says he used to travel with the love of his life, a tiny gnome named Whittle, before he was tasked with guarding the room. As Alyndra continues to ask questions she slowly takes over Briv’s part of the chess game, so Briv settles in to rest. She plays to give Rend a challenge, but intentionally throws the game. When he wins, Rend turns to Penelope and asks for his locket back. She pulls out the locket she recovered from Avren’s body, and Rend proves it is his by knowing that inside is a picture of his love Whittle. He knew their lost companion Avren once, and he even was defeated in battle by an illusion of him. It was then that Avren took the locket from him. Penelope cheerfully returns the locket to Rend, and the construct seemed happy to have it back. Still injured, Briv checks out some of the potions along the wall and chooses a red one hoping for a healing potion. Instead he suddenly grows large, turning ten feet tall! He spends some time searching the room but cannot find any exit. Rend says that his former masters were trying to keep it hidden from an evil goddess, and were working in secret and keeping it protected. Alyndra and Penelope work on learning about the mysterious time machine to try and fix it, in the hope to use it to send them home. Alyndra is able to learn how to fix it very quickly, but realizes it will take 263 years to finish the device on her own. While her own lifespan is long enough, the rest of the team do not live long enough to survive until it is complete. 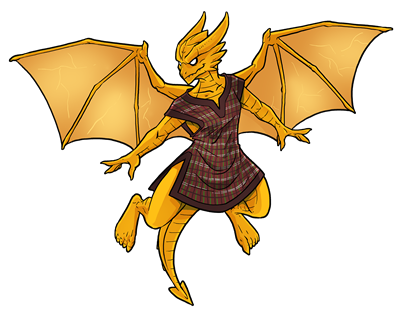 Penelope mentions getting help from Vordrid form inside the bag world, which causes Orkira to pull the bag out of the pocket of her nightgown. She holds it out for Penelope, and ruefully says, “Everything must end.” She doesn’t know what she should do next, and is trying to convince herself to move on after the death of Pelor, but is obviously sad. Several suggestions are made on what to do next. There is talk of using the time changes in the bag to survive long enough for Alyndra to repair the machine, or everyone going into the bag to look for anyone that can help fix the device, or helping Alyndra as long as they can and hoping she can use it to go back in time to a point where everyone is still alive. Without a clear decision on what to do next, the exhausted group decides to finally take a long rest. Our heroes have been through intense hardships, but can this new friend and strange machine help fix what has gone wrong? Episode 11 airs on April 10th at 2 PM PT! Lauren "OboeCrazy" Urban is the Community Manager for D&D Beyond, as well as a professional classical musician on oboe and English Horn. 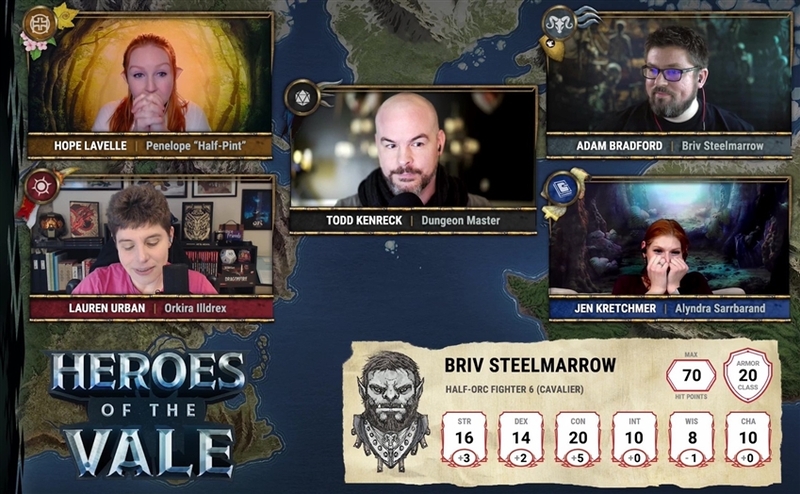 When she's not playing a Bard in real life she's a prolific Dungeon Master and player on a variety of livestreams and podcasts. She lives in Seattle, Washington with her husband Luke where they spend their free time playing video games and drinking tea. The best way to keep up with Lauren's busy schedule is to follow her on Twitter at @OboeCrazy. I don't watch these but lol this reminds me so much when I have my players meet someone of great power (i.e. a Goddess!) and they're just like "Yea, nah, let's beat her up!" and you have to suddenly change all of your plans to match the story flow. This is exactly why I never plan too far ahead because in all of my years as a DM I still get surprised by some of the things they try to pull (usually to their downfall). :P Fun read!